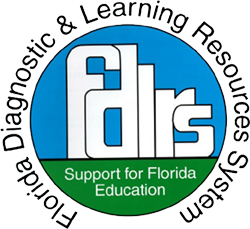 ICEI is a Florida Diagnostic and Learning Resources (FDLRS) specialized clinic in the College of Behavioral and Community Sciences (CBCS), Department of Child and Family Studies. The center, funded by the Florida Department of Education, provides comprehensive evaluations and interventions at no-cost for school-aged students (3-22 years of age) who have complex behavior, developmental, and social/emotional challenges. This specialized clinic collaborates with school districts, community agencies, and families to implement evidence-based practices with fidelity. The ICEI team includes professionals and graduate students from the discipline areas of applied behavior analysis, communication sciences, family, pediatrics, psychology, social work, and special education.